Ordinarily, in real life on planet earth--and in the world of drama (even tragedy)--death is to be avoided. 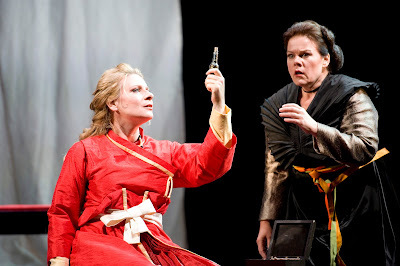 One of the things that was (and still is, really) controversial about Tristan und Isolde is that this most basic of rules gets reversed: in Tristan death is a comfort, a friend, the goal of the journey, and it’s life that’s the problem. 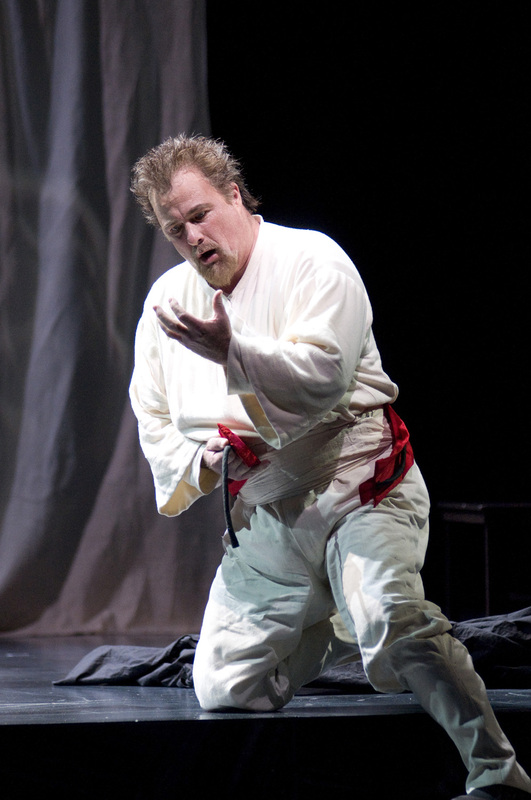 Acts One and Two of this opera conclude with suicide attempts, and Act Three ends when Tristan and Isolde both finally do die. Der Tod nun sag ihr Dank! she gave me the Death Potion. Let death now be her thanks! Wie, hör' ich das Licht? How’s that, do I hear the light? But as Isolde dies, a few minutes later, we hear the much gentler, sexually irresistible music of the "Liebestod." Perhaps, unlike Tristan, she wasn’t consecrated to death head and heart--but rather chose death, to be with him. Some have called her Liebestod a perverse riff on the old deus ex machina ending, in which God interferes to give a story a happy ending. Is Isolde’s love-death a happy ending for a world without God? The final image in the current production. Top image by David Kreitzer for Seattle Opera's 1981 production of Tristan und Isolde. All photos by Rozarii Lynch.